Your crown chakra is at the very top of your head. This is the area where God and other Heavenly Hosts will most likely communicate with you. Your ear chakras are important for this purpose as well. 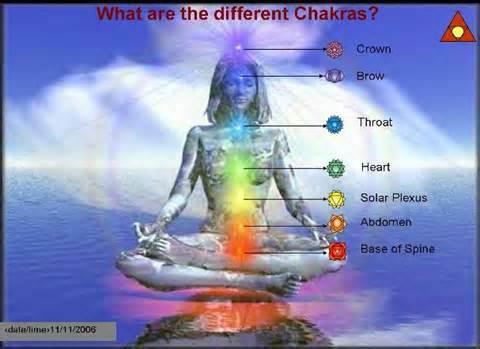 We mentioned your crown chakra yesterday and many of you were curious about this and wanted more information. You may open your crown chakra in a very simple way that is easy to remember. Envision the top of your head and imagine a zipper running from your forehead to the rear of your head. To open to God and spirit, unzip from front to back. Imagine it opening and blooming with golden light. Envision rays of light emanating upward and outward. Clear out any darkness or debris. Flush with White Light. Allow all clutter to flow away and leave your head pristine. Now envision God, angels, Archangels, spirit guides… providing much-needed information to you like pouring it into your open cranium. Everything must be clean, clear and “of God.” In order to accept so much God-centered energy you must be grounded. If you float you will lose your connection or worse yet, you may gather information from questionable sources. In order to maintain your protection you may want to surround yourself in a bright White egg and keep up this barrier until you have finished downloading God’s inspiration. Zip your crown closed. If left open you will be confused, exhausted and floaty. You will lose track of time and probably get nothing done! To maintain your connection to the Divine keep yourself connected to God and Mother Earth. Do this by imagining a golden cord from your crown up to Heaven and from your tailbone to the center of the earth. Refresh this connection often. Always flush any darkness or debris from your entire being. Remember to cleanse and clear from top to bottom, inside and out, and from front to back. Don’t forget any area or the negativity may grow and spread. Practice these few suggestions and increase the strength of your connection to God and spirit. Also try to meditate, pray and be positive. There are some other ways to increase your contact with spirit as well. You may have a Reiki treatment, a massage, reflexology, a psychic, Tarot or numerology reading and visit your Higher Self! We are pleased with your curiosity and we seek to fulfill all of your needs. Bringing God to you is our priority. The inspiration that you receive directly from Heaven will improve the clarity of this incarnation. You will have less stress and each event will teach you something. The meaning of life will unfold gracefully. In order to intimately know God you must cleanse and clear your crown chakra. Open to the Divine. Absorb God’s love and inspiration. Then, zip it closed.